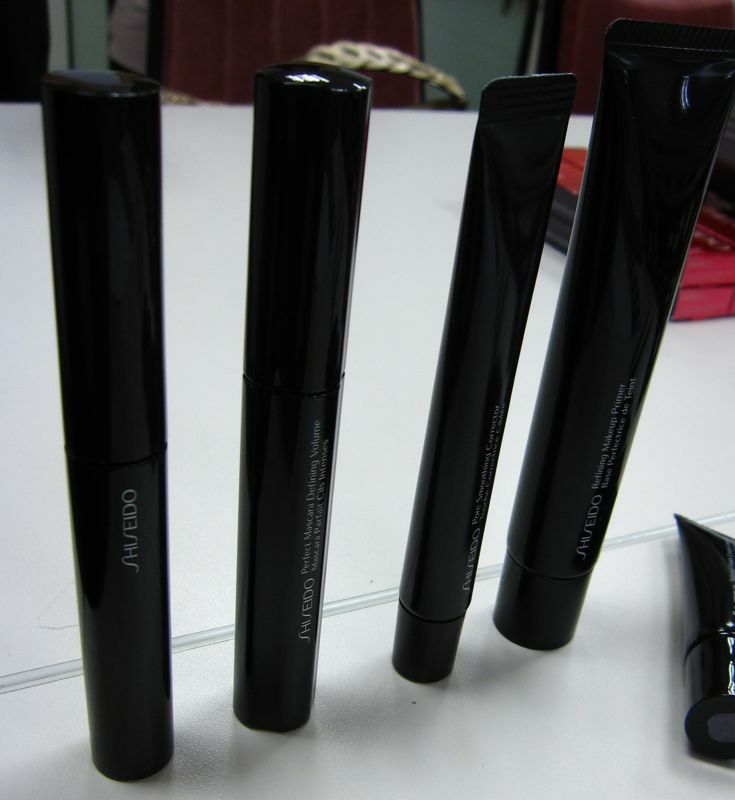 Aside from the Luminizing Satin Eye Color Trios, the Shiseido fall collection also includes several new base makeup products. 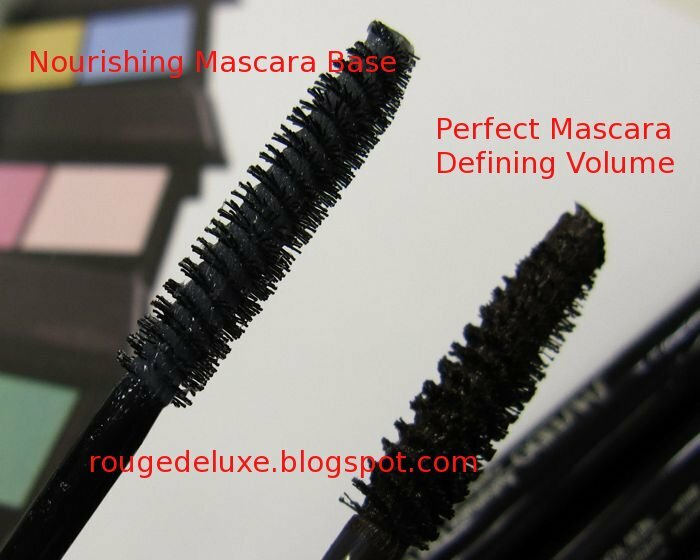 First up is the Nourishing Mascara Base (S$41) which helps to condition lashes, provide a longer-lasting curl and volume. According to the Shiseido marketing executive, many customers were first attracted to the brand because of their mascara base. There is also a new Perfect Mascara Defining Volume (S$46) which provides up to 200% volume and comes in black and brown. For helping to create a flawless visage, there is a new Pore Smoothing Corrector (S$60, 15ml) and Refining Makeup Primer (S$53, 30ml). 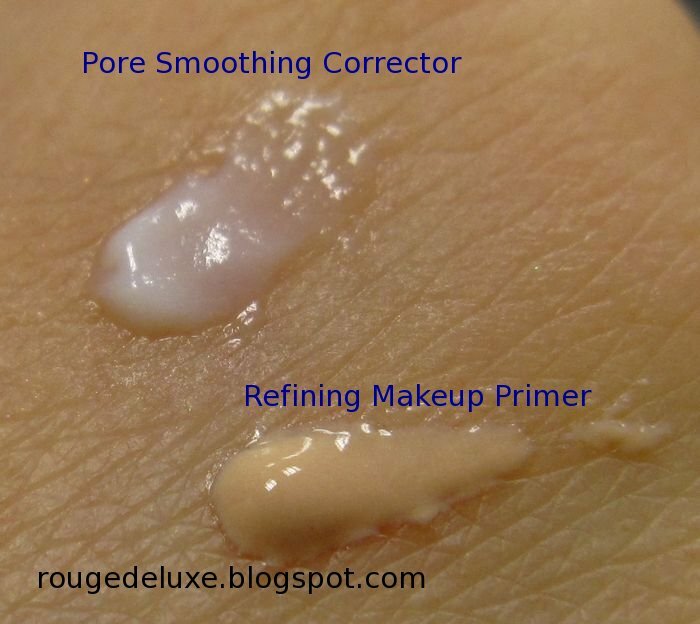 The Pore Smoothing Corrector can be applied after skincare or the makeup base in the areas of concern. The Refining Makeup Primer (swatched on the right in the pic below) is formulated with oil-absorbing powder and Super Hydro-Wrap Vitalizing DE for moisturising benefits. Natural Finish Cream Concealer (S$48) is a high-coverage concealer that can be used for spots, dark circles, acne scars, dullness and redness. It is available in six shades. 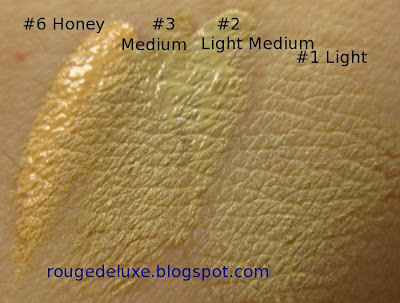 #6 Honey is a special color that can cover subdued skin tones with bluish spots or dullness. 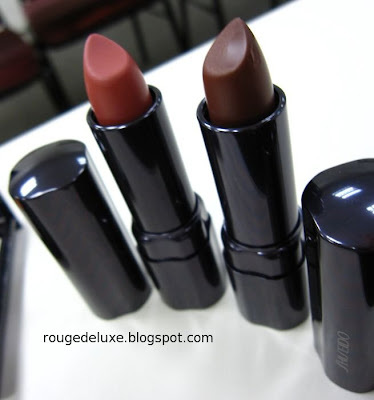 The fall collection also includes five new shades of Perfect Rouge (S$43). I was impressed by how creamy and moisturising these applied, with a soft sheen. 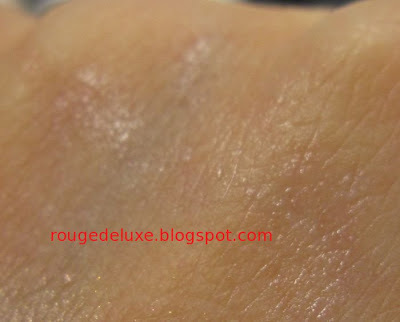 The pic below shows BR735 Tawny on the left and RD732 Blush on the right. Next up is a preview of Maquillage's fall collection! I'm not sure if it's my monitor, but all of the concealers (with the exception of the Honey shade) look green on my monitor!!!!! 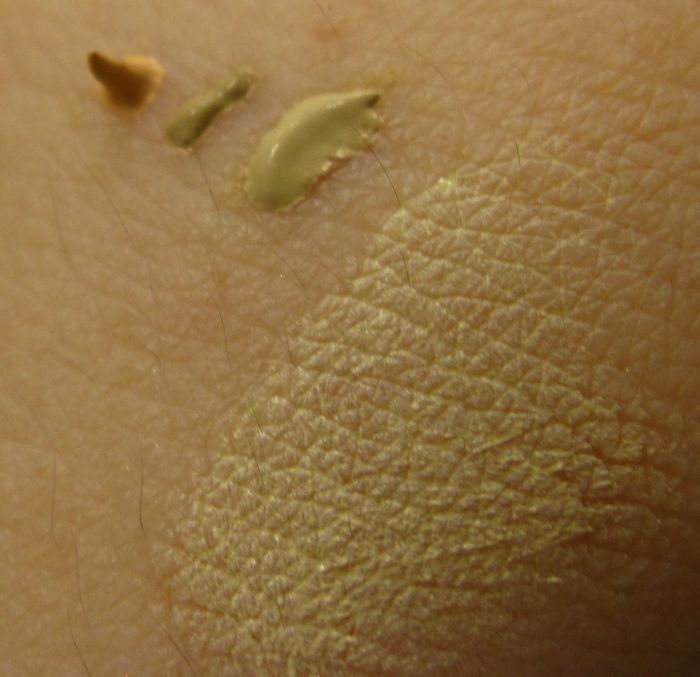 I'm not sure what the problem is as the concealers look fine on my laptop screen. They are light to medium beige. 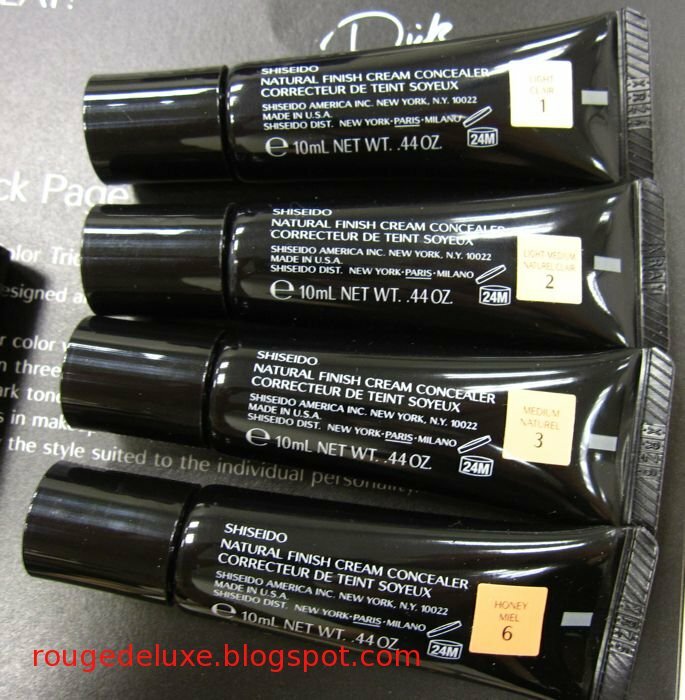 i love the perfect rouge parfaits i have 3 colors! RD514, PK419 and BE208. really want to buy more but trying to resist since there are so many collections to try (BB, MAC, Paul & Joe) and the perfect mascara parfait is good too in brown.